New day, new Monster Hunter World mods have been released, bringing a variety of enhancements to the game developed by Capcom. The first new mod is the Improved NPC Locations mod, which adds several NPCs to the gathering hub, allowing players to access crafting and facility management without having to leave. Adds the following NPCs to the gathering hub: Smithy, Resource Center, Botanist, Housekeeper, Argosy Captain. Client-side mod, others don’t see the newly added NPCs if they don’t use the mod as well. However, it works fine for you (other players will simply see you talking to ghosts :p). Tested and working with game build 152771. Forging the Dual Blades “Wrath & Rancor” causes the game to crash. This seems to be an isolated issue. Remove the mod to craft (and eventually upgrade) it. While this mod on taps into the native functions of the game, I’d advise having a savegame backup routine going (you should do regular backups anyway). The other two new mods are cosmetic. 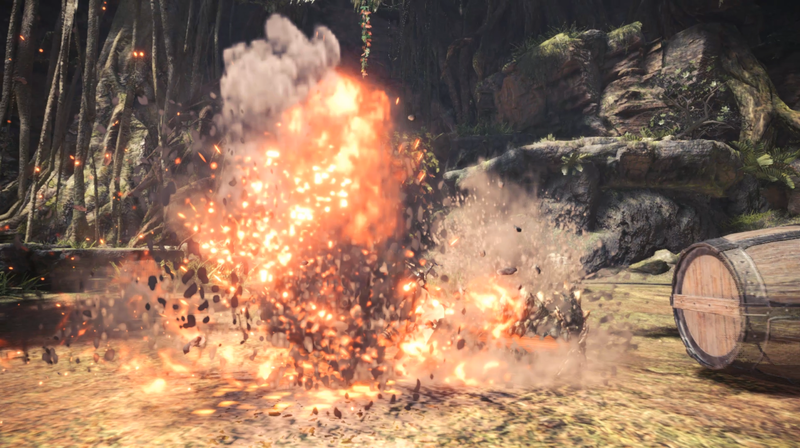 The Charge Attack Explosion and Thunder Lance mods improve special effects for the Greatsword charge attack and all lance attacks. Monster Hunter World is now available in all regions on PC, PlayStation 4 and Xbox One.